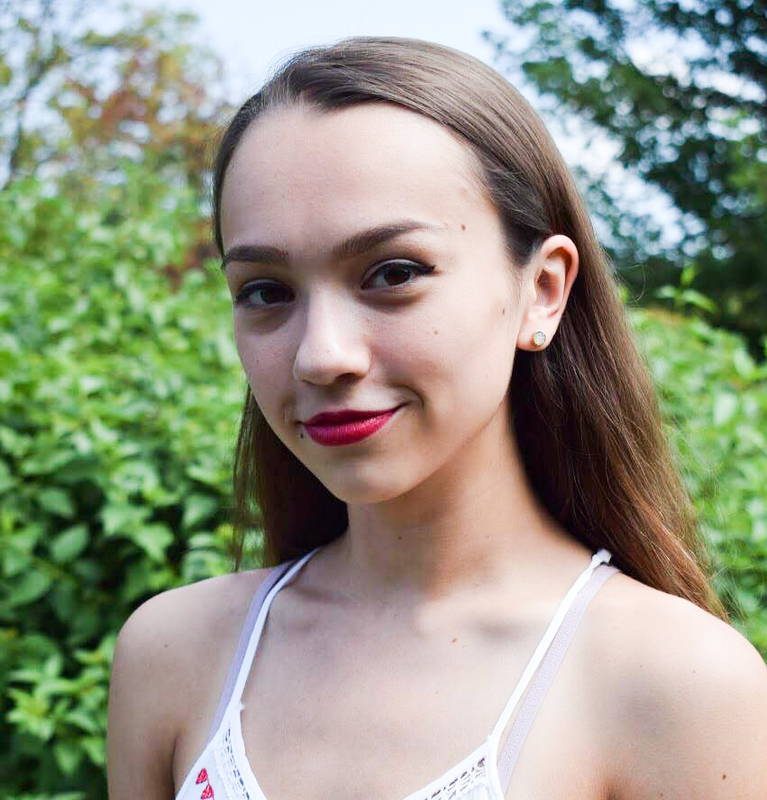 Although she’s currently in two Second Stage shows, wrote a play that got put up professionally, and is on Second Shades Staff, this article is not about Luna Mac-Williams’ theater prowess. 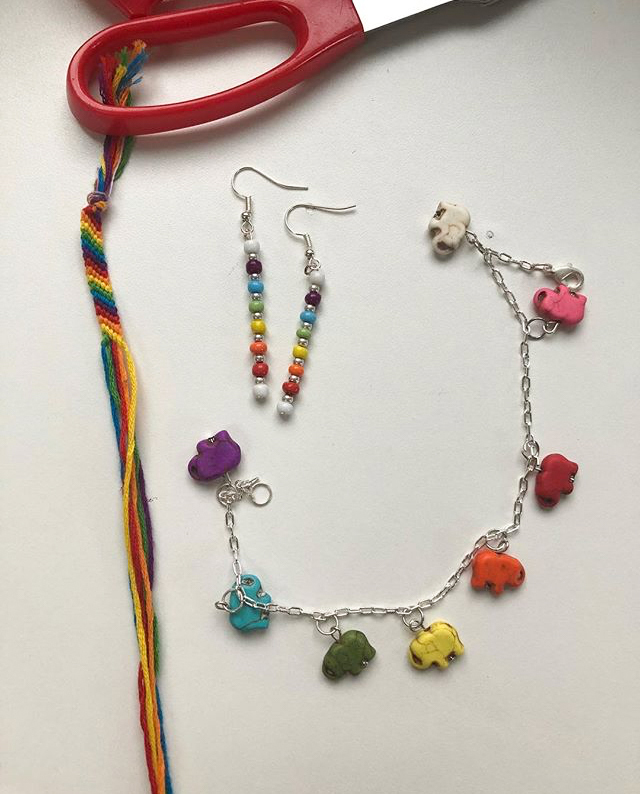 Mac-Williams ’22 also has a knack for creating colorful jewelry and Mexican-inspired embroidery. 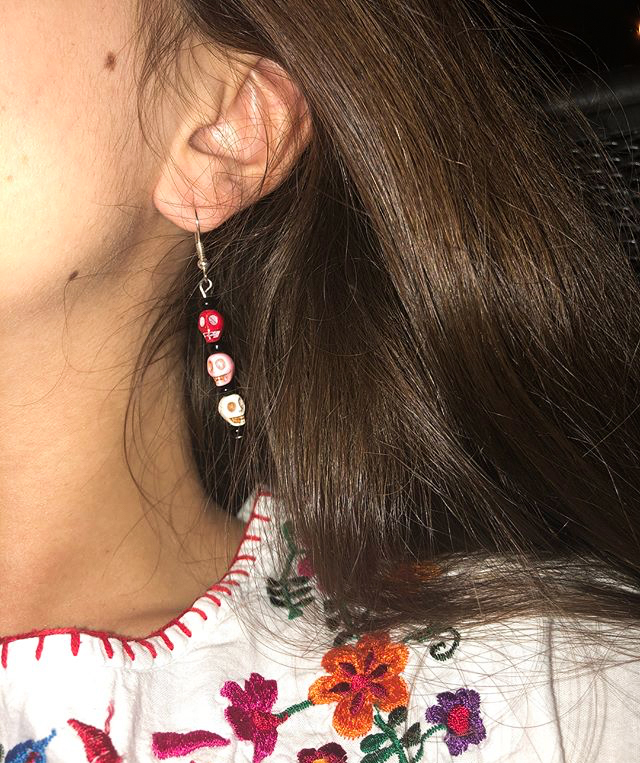 While it began as a hobby, Mac-Williams’ jewelry making and embroidery have quickly evolved into a small business on WesAdmits. Mac-Williams practiced and learned how to make little patterns from her grandmother and mother growing up, and she has always loved to share her artwork with friends and family. From there, Mac-Williams began selling her pieces, which she started doing long before coming to Wesleyan. In addition to jewelry, Mac-Williams enjoys making embroidery. Another skill she learned early in life, creating embroidery brings Mac-Williams joy while connecting her with her family. The therapeutic nature of her artwork leads her to create things for herself as well as others, meaning that most of her pieces are things she really enjoys herself. These same influences led to some of Mac-Williams’ favorite pieces, ones that she wears herself and those she gives away. Mac-Williams’ love for this artwork led her to start an online business, whose popularity has recently been bolstered on WesAdmits. She often sells the things she creates and will even custom-make pieces by request if she’s asked to. Her WesAdmits posts link to her page on Instagram, where she conducts the majority of her sales. Stella Ginsberg can be reached at sginsberg@wesleyan.edu.